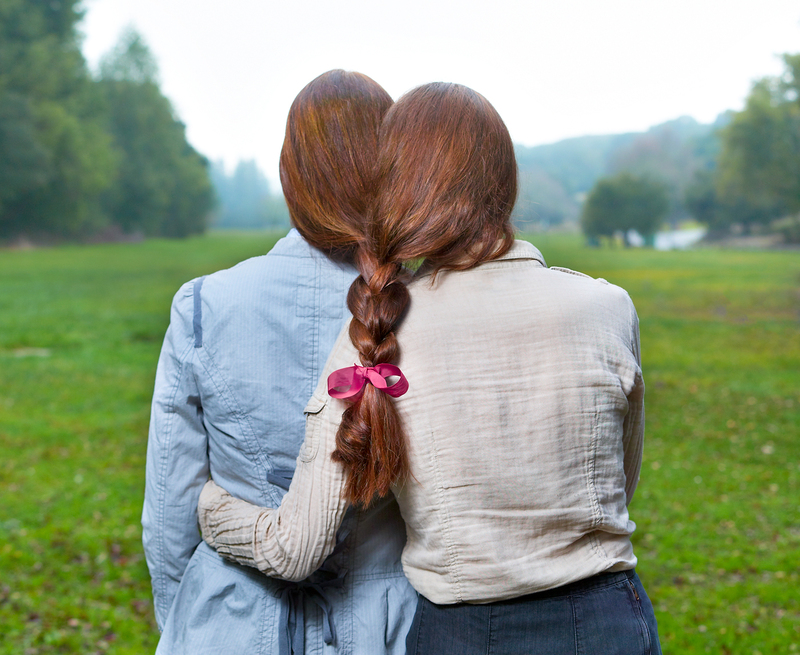 Kate had been talking to Nyla about this idea that she had for a book cover of two girls with their hair braided together and asked if I was interested in it giving it a shot. You bet I was. I just needed two models with long hair, a location, and someone who knew how to braid hair. It seemed like a pretty straight forward shoot until everything started to go wrong. First we couldn’t nail down the permit for the location that I wanted to use. Then we couldn’t find an assistant that knew how to braid hair (they tried to teach me, but I was useless in that department) and finally on the day of the shoot it started to pour rain. However, despite all of that we managed to pull it off thanks to a small break in the rain and braiding help from Nyla’s friend Susan. We had about a 45 minute window between the time that we got to the location and when it started pouring again. Joined at the braid, our poor models couldn’t move an inch while they stood freezing in the mud and drizzle. I knew we had to be quick so I set up two small flashes for the shoot – one SB-900 into an umbrella for on-axis fill and another SB-800 into a small softbox to help light the hair. Managed to take about 20 frames before it started to pour again.